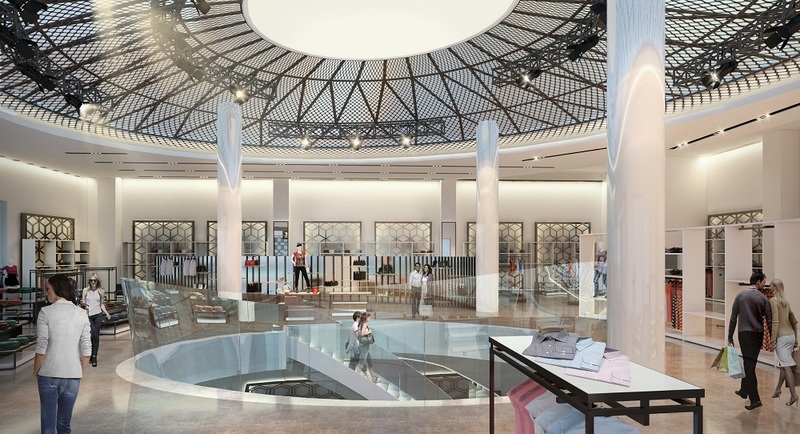 The 15,000 SF space at Ala Moana Center in Honolulu is a two story brick and mortar store that features separate departments for women, men, children and accessories. 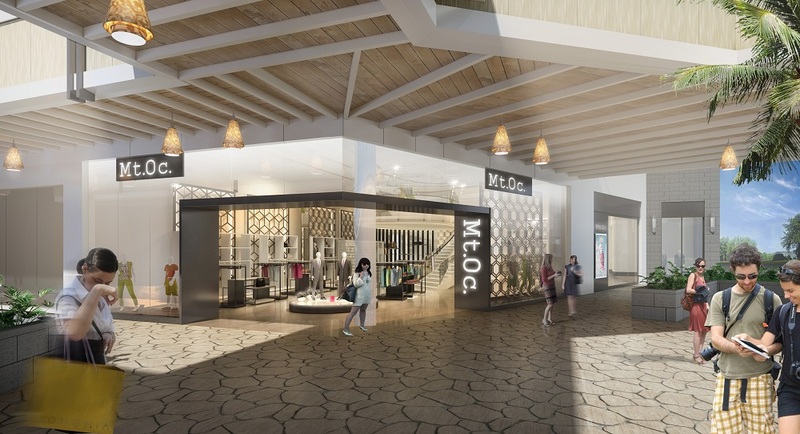 The defining feature of MTOC’s Ala Moana retail concept is a sweeping backlit ceiling that serves as both a focal point as well as a unifying element of the architectural space. 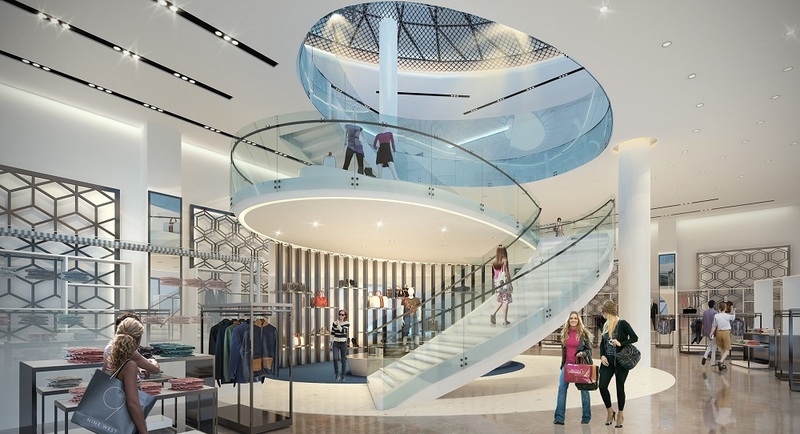 The Ala Moana store is centered around a suspended elliptical staircase that connects the ceiling feature above to a product display landing and serves as the primary vertical circulation in the 2 story space. The interior houses clean, modern display fixtures and millwork that are all custom made. The storefront features custom wall panels with an intricate, geometric design and glass walls that fade to white, reminiscent of wisps of mist. 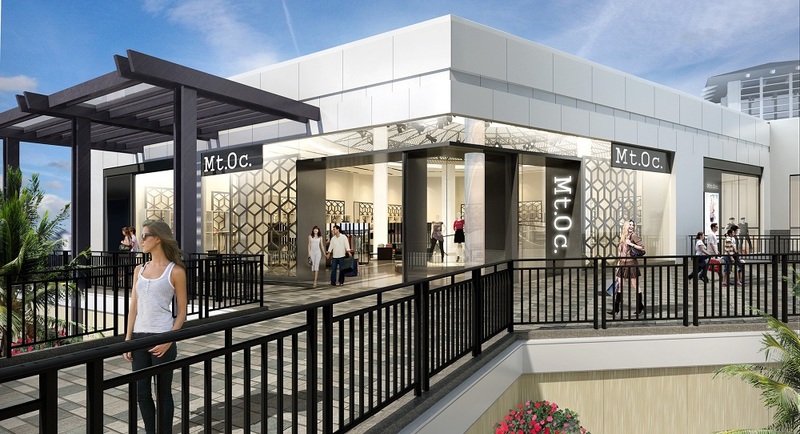 As retail experiences become increasingly technological, the space will incorporate LED walls and interactive touch screens that display the MTOC lifestyle and the complete product line.